Social Capital Development (SCD) structures developed and well-functioning. This includes Community Facilitator, Community Agro-vet Entrepreneurs, Project Management Committees and Mentoring Teams, throughout the project life. Organizational standards for SCD have been followed throughout the program project life time. Model farms established depending on crop calendar. Submit timely reports to Country Program Manager as required i.e. Ensure periodic project reviews are conducted, with learnings documented and shared on quarterly basis. All develop and implement quarter plans for multi-stakeholders’ engagement and learnings. Continuously develop relationships with local partners working with youth in agribusiness to facilitate access to best farming practices and market linkages. Bachelor’s degree in Agriculture, Animal Science or other related field, with five (5) years’ managerial experience in dairy production, dairy value chain management, agriculture development with at least three (3) years’ experience of how cooperatives work. Master’s degree in Agriculture, Animal Science or a related field, plus at least five (5) years’ experience in crop and or dairy production management with a background in dairy and poultry enterprise management. Experience in developing private public partnerships especially at country level working in matrix reporting environment. 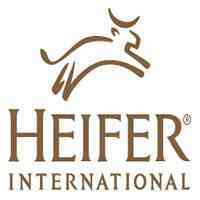 Clear understanding of the dairy and poultry value chain and Heifer’s Value based model. Proven team leadership, project management, motivational and supervisory skills with ability to train and work cooperatively with a diverse staff. Demonstrated knowledge of the latest developments in advancing good/best practices in value chain development that reaches youth, and underprivileged. Demonstrated creativity, ability to think systematically, willingness and ability to incorporate innovative solutions and design catalytic activities within the production dairy value chain (e.g. the concept of business development services provision). Demonstrated experience in setting robust and sustainable extension systems for producer organizations. This requirement is in line with the need to have built-in exit strategies within the project as a measure of ensuring that there are self-sustaining businesses by project’s end. Having a business approach to dairy farmer with a passion for farmer development and being completely farmer centric. Demonstrated knowledge and experience in facilitating development of farm-level business plans and feasibility studies including the computation of the associated key financial ratios and benchmarks. Experience in implementing supply promotion/stimulation strategies in the context of dairy sub-sector and other agricultural sub- sectors. Computer literacy, including facility with Word, Excel, and other relevant Microsoft Office Suite applications, as well as any other databases. Proficient in communicating in English and local languages, oral and written. Proven interpersonal and communication skills with ability to relate to individuals and groups diplomatically and tactfully. Sensitivity to the needs and priorities of disadvantaged populations particularly women and children. Excellent oral and written reporting skills with the ability to prepare and present documents in a well-designed and attractive format with superior attention to detail. Working in a multi-cultural setting and commitment to promoting teamwork, gender equality, and sensitivity to hunger and poverty issues. Ability to work under tight deadlines with minimum supervision. Ability to work under pressure in response to changing needs and ability to work well in a team. Ability to travel domestically and internationally, occasionally on short notice. Sound judgment, professionalism and a positive attitude with the ability to adapt to a rapidly changing environment and in sometimes difficult circumstances. Ability to lift and carry up to 20 pounds (9 kilograms) floor to waist.